Some of the biggest stars from across the border will be seen in Waqt Ne Kiya Kya Haseen Sitam, a heartwarming tale of love and longing, which will be telecast on the premium channel Zindagi. The show will see current Bollywood heartthrob Fawad Khan play the role of a timeless lover — Hasan and the talented Sanam Baloch paired opposite him as Bano. 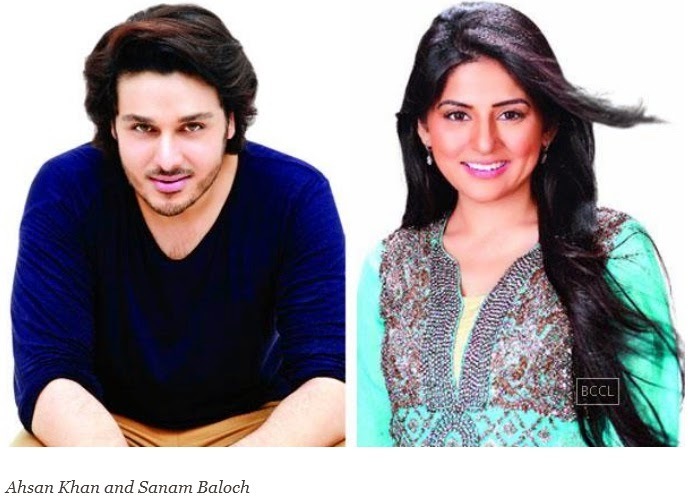 The cast also includes award-winning actors like Saba Qamar portraying the character of Suraiya (Hasan's aunt), Ahsan Khan as Saleem (Bano's brother) and Samina Peerzada as Bibi (Bano's mother). Haissam Hussain, the man who has directed popular series like Aunn Zara, Dhoop Chhaon and Ishq Gumshuda, has helmed the show, which has won all major awards including Best Drama Director, Best Actor, Best Actress at the 2nd annual Pakistani Media Awards. The show is set in the 1940s and depicts the myriad emotions that people went through then and how love triumphed against all odds. Waqt Ne Kiya Kya Haseen Sitam premieres tonight at 8 and will air Monday to Saturday on Zindagi.